There was a celeb avalanche at the Ambanis for their Ganesh Chaturthi celebrations. 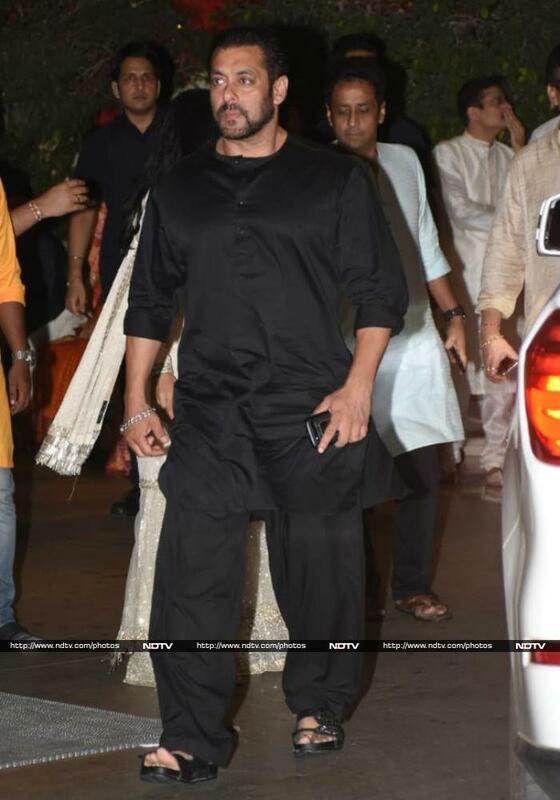 Bollywood's creme de la creme stepped out in their finest to welcome Bappa with Nita and Mukesh Ambani at their Mumbai mansion on Thursday night. The trinity of Khans along with Amitabh Bachchan, several celebrities stepped out to celebrate the Ganesh Utsav at Antilia. 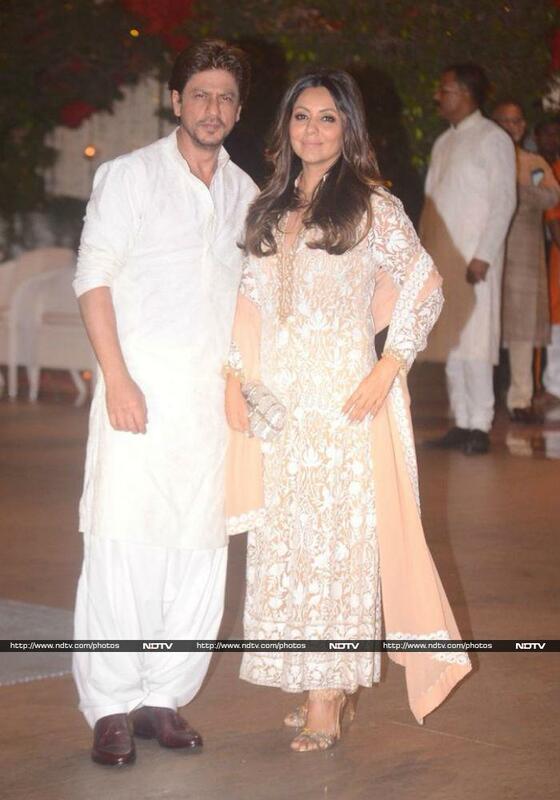 Shah Rukh Khan and his wife Gauri, dressed in Manish Malhotra outfit, were colour coordinated in white. 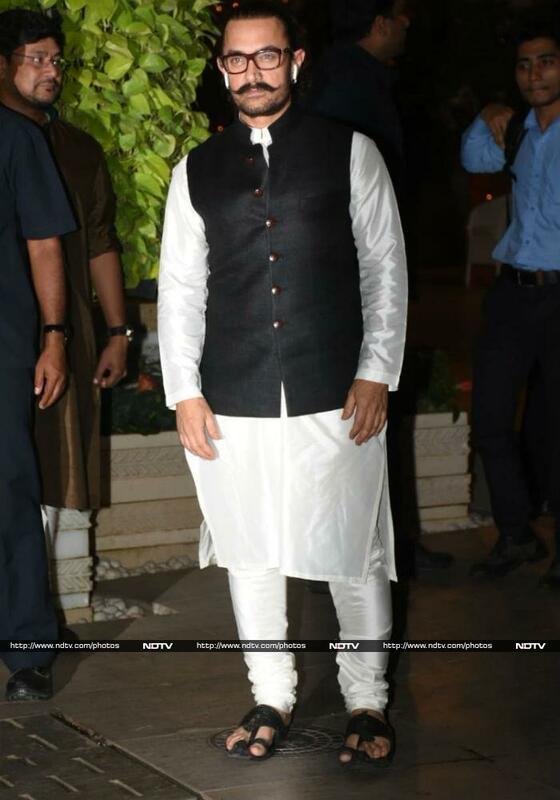 Aamir Khan paired his kurta pyajama with Nehru jacket. Amitabh Bachchan arrived with gifts. Red alert for Katrina Kaif. Outfit courtesy, Tarun Tahiliani. Kareena Kapoor and Karisma were twinning in yellow. Kareena, dressed in Raw Mango separates, added a pink dupatta for contrast. Karisma opted for Manish Malhotra's design. Shweta Bachchan Nanda looked pretty in pink. Sachin Tendulkar arrived with his wife Anjali. Ileana D'Cruz rocked a red outfit from Ridhi Mehra's collection. Kiara Advani put her faith in Manish Malhotra. Sagarika Ghatge's plus one was her husband Zaheer Khan. Madhuri Dixit, wearing an Anita Dongre saree, walked in with her husband Dr Sriram Nene. Hema Malini waved at the shutterbugs. Rekha wore a Kanjeevaram saree, like she always does. Actresses Sanya Malhotra (in Raw Mango) and Fatima Sana Shaikh (in Falguni Shane Peacock) looked stunning in traditional outfits. Yami Gautam wore an outfit from Anita Dongres collection. Huma Qureshi and Rhea Chakraborty posed together. Athiya Shetty posed with her brother Aahan. Athiya looked pretty in Rahul Mishra ensemble. Suniel Shetty and Mana Shetty were also there. We also spotted Karan Johar among the guests. Nita Ambani, dressed in Sabyasachi, posed with her son Anant. Krunal Pandya's plus one was his wife Pankhuri. Aditya and Rashmi Thakeray were twinning in orange outfits. Filmmaker Ashutosh Giowariker and his wife Sunita made a couple's entry. Manish Malhotra was all smiles. Anu Malik arrived with his daughters.